Yay! 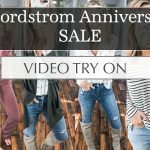 Tomorrow is the 2018 Nordstrom Anniversary Sale Public Access Day! Kinda like Christmas for some of us who love snatching up a good deal! *** I will be up at 2 am CST on my Instagram Stories sharing restocks with you guys! The sale opens up at midnight PST! The early bird gets the worm with this sale, so it’s important to act fast if there’s something you missed out on during early access, or if you weren’t able to shop early access! 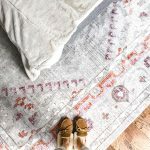 I’m sharing my top 10 selling items from the sale so far below for you guys. Hoping that those that are out of stock below will be back in stock at 2 am CST when the sale goes live to the public! Nordstrom usually does a good job about restocking right away for public access, but HURRY because they will go FAST again! (I’ll be on restock alerts at 2 am on my IG stories for you guys!) This has an oversized fit, so I sized down one size to an x small. It’s only $29. Hoping for a restock!!! This is SO good. I sized down one size in this top to an x small because it also runs a little big. 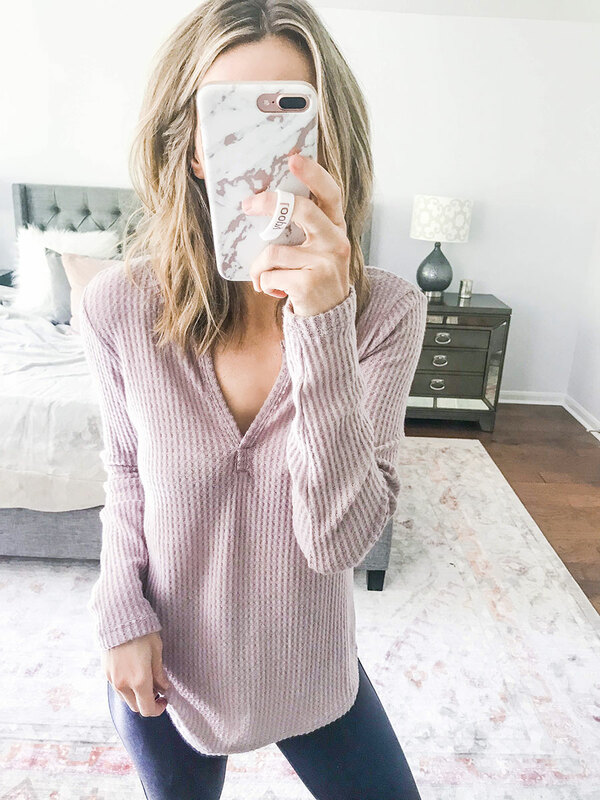 This is the perfect top to wear to work! LOVE it layered under cardigans & would also be adorable under a blazer! Obvious reasons…. This thing is comfy goals. I got my regular size small in this. If you want more of an oversized fit, I would go up one size. This is the charcoal color. Yasss Barefoot Dreams. I tried all 3 from the sale. This one was your favorite, and possibly mine too. Honestly, I love them all. 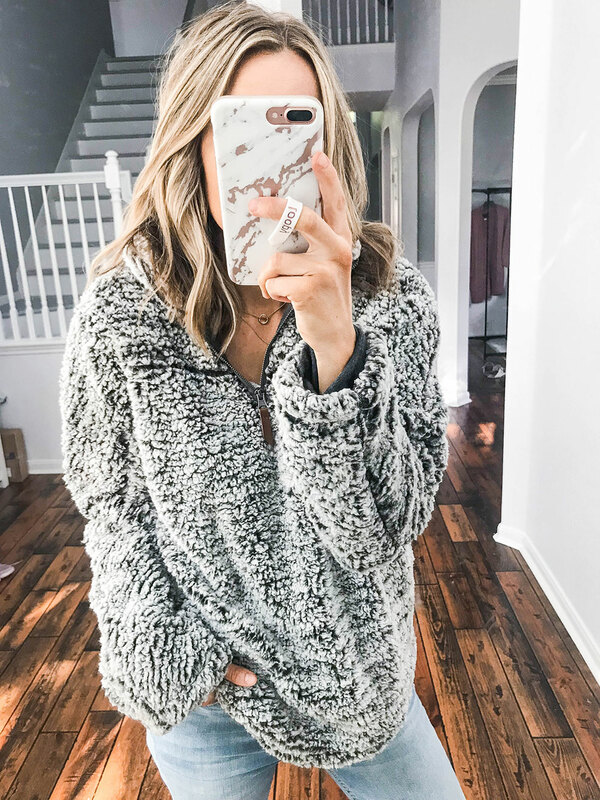 There’s not much to love about a comfy AF cardigan that feels like a blanket. But, if you’re looking for the most flattering fit, this is the one. I’m wearing a size xs/s & this comes in more color options! Such good basic tees. You can literally wear them with everything. By themselves, under cardigans, jackets, blazers, whatever. I sized down one size to an x small in these. If you want a more oversized fit you can just get your regular size. This is the white tee that I’m wearing in every one of these pictures! Once again, comfy goals. 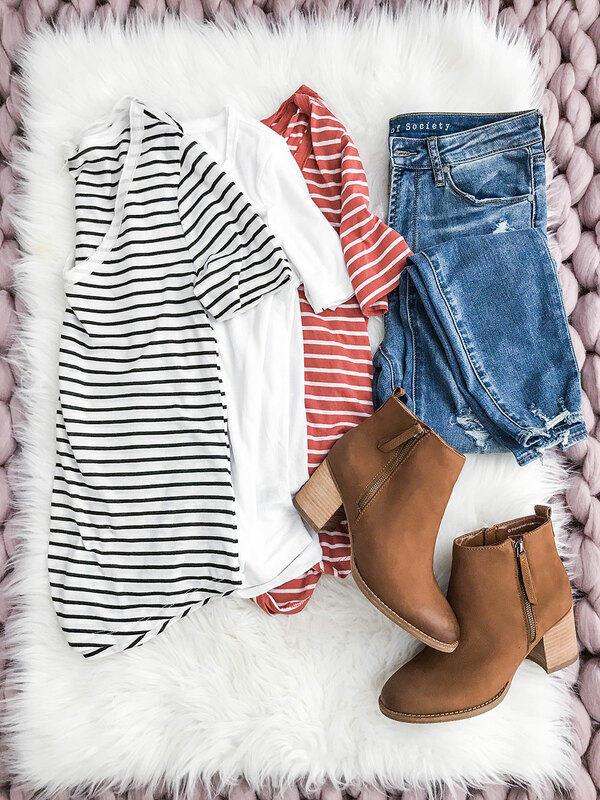 The slouchy oversized fit is PERFECTION. I’m wearing an xs/s in this cardigan & it comes in more colors! Sooo cute, and actually still in stock right now! LOVE the way this cardigan fits & looks. The pink is GORGEOUS, and it also comes in more colors. I am wearing a size 4 & I would say it fits true to size. Love the length. I’m 5 foot 9 for reference! Okay let’s get down to the deets. These babies fit TTS. I have my regular size 8.5. 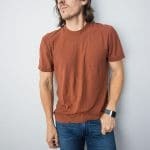 This is the taupe notch color, and I’m 5 foot 9 for comparison. I love where they hit, and I love how comfortable they are. I also got this pair of OTK boots and I love them just as much. How are these only $44!? In LOVE! I’m actually wearing them as I type up this post. This is such a great brand (I have multiple pairs of their jeans) & they always keep it affordable! Hoping for a restock & will let you know on stories ASAP when the sale opens up to everyone if they are restocked! 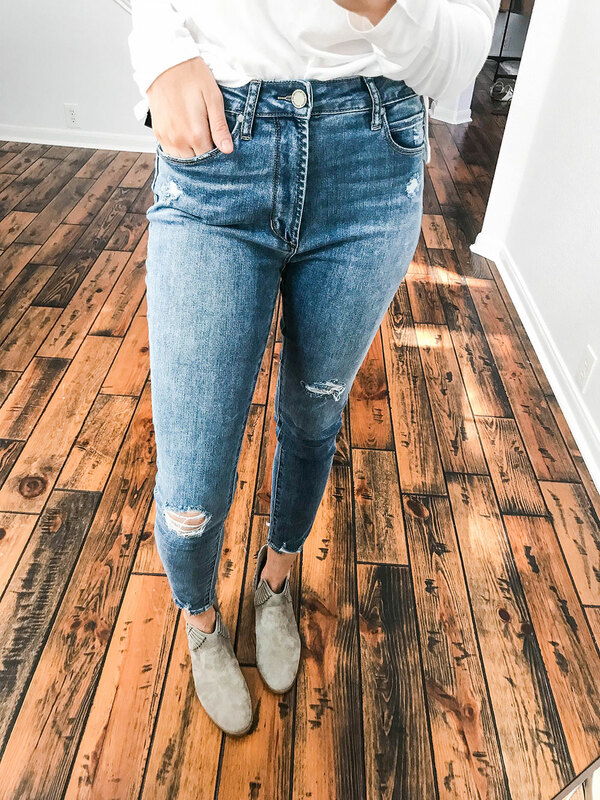 I also got this green pair (fit is TTS), this dark wash pair without distressing, and my fav Free People pair with knee holes! I originally showed this in the camo print, but I LOVE the solid prints. Randomly the solids fit a little more loosely than the camo print did. They are SO comfy, and I got them in a size small. Legit comfiest thing ever. The material is awesome! 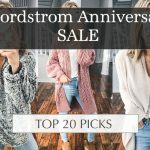 Thanks so much for hanging out with me during the 2018 Nordstrom Anniversary Sale so far this year! It’s been fun sharing everything with you guys! Excited to style all of these cute pieces this Fall & Winter!